I love chocolate. 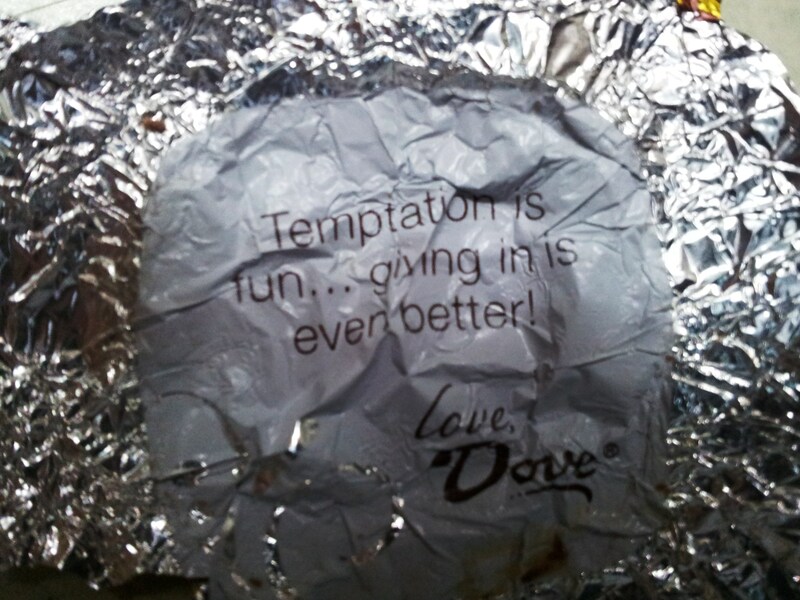 When it comes to chocolate, I just can’t resist the temptation. Recently, I was having a bad cough, due to the hot weather and I drank too little water. I was actually recovering. 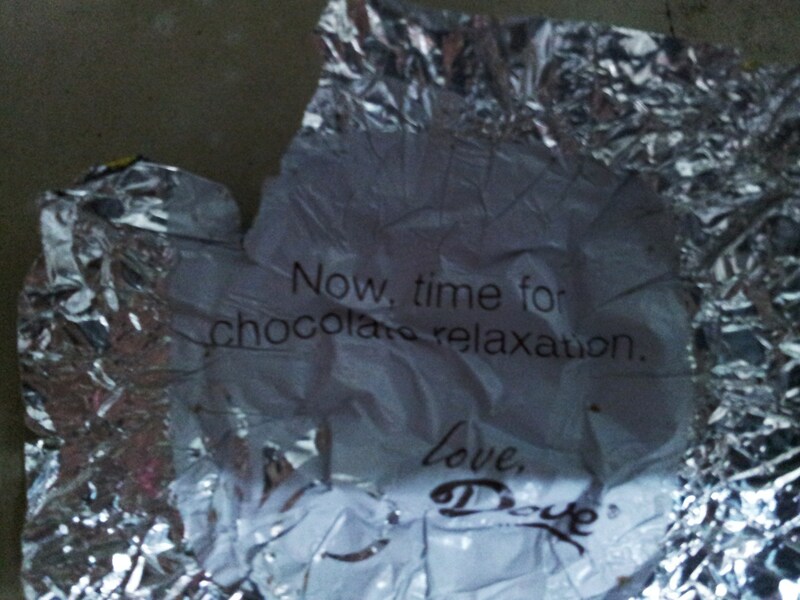 My dad bought this Dove chocolate recently. And it was caramel milk chocolate. Oh yummy… Because I was having a bad cough, I had second thoughts. If it was dark chocolate, I’ll just take it, I wouldn’t care if i’m sick or not sick, dark chocolate would be my ‘drug’. Reading this, I felt very optimistic. I wasn’t happy a few days before. Honestly, I was depressed. In fact, I was depressed for the past few months already. I feel I do not have a life. Well, I don’t feel like discussing it here. I just hope that everything that I am feeling right now would go away. Looking at that message, I smiled. I liked it very much. This time, I was craving for the third chocolate. Plus the curiosity made me want to open another one. What?!? 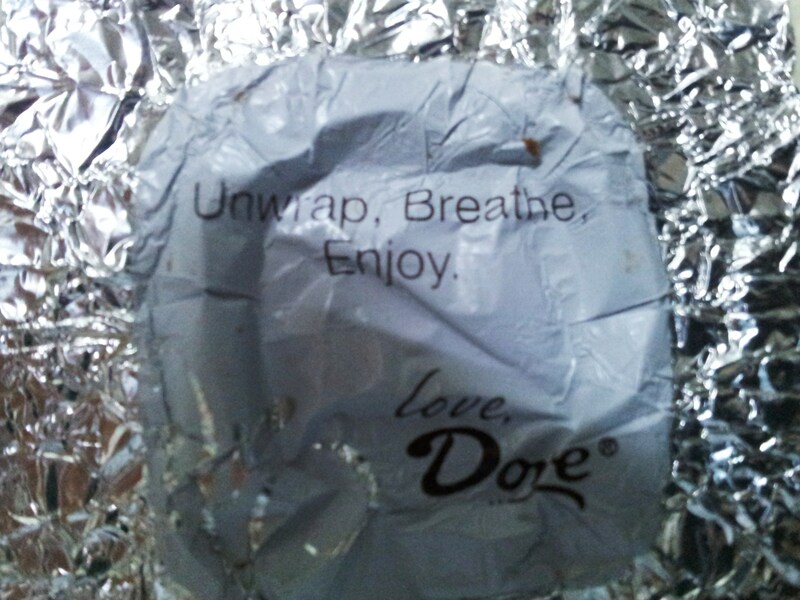 It told me to unwrap. I felt like taking another one from the fridge, but didn’t. I knew I was going to regret it if I take another one. 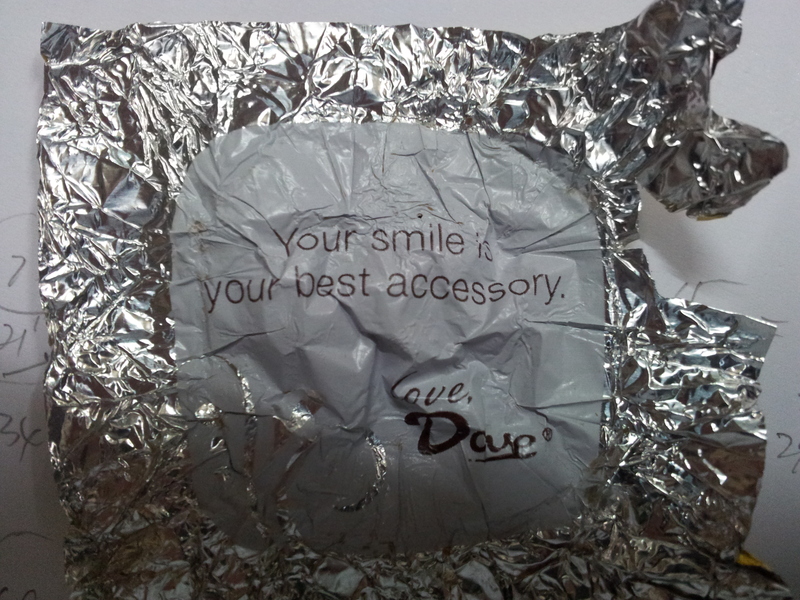 Three chocolates would do no good to my throat already, the fourth one would certainly make it worse. I did feel a little bit of guilt there, but…well..I already done it, what the heck. I didn’t want to wake up the next day without a voice. I finally stopped. But my cough got worse, luckily I still have my voice the next day. If I wasn’t down with the cough, I would take probably five or six pieces. 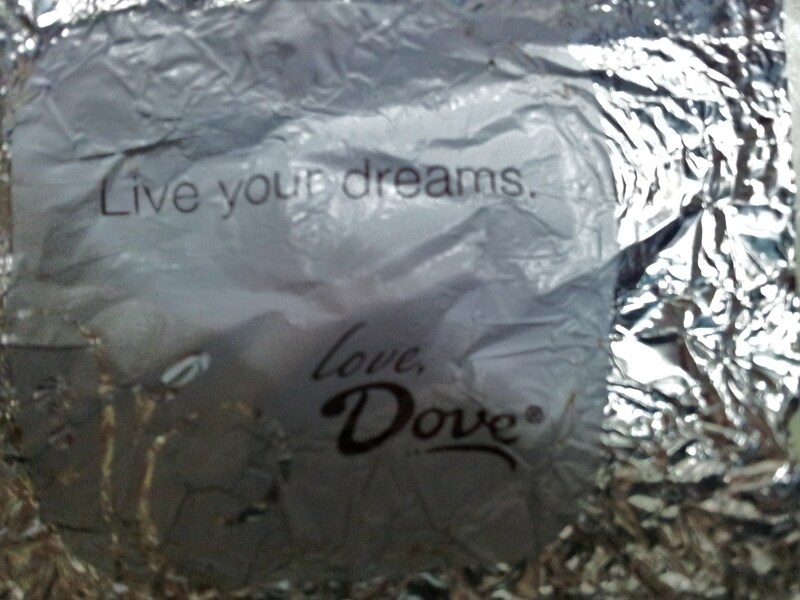 If it was dark chocolate, I’d take more. It felt so good that I took another three pieces the next evening. 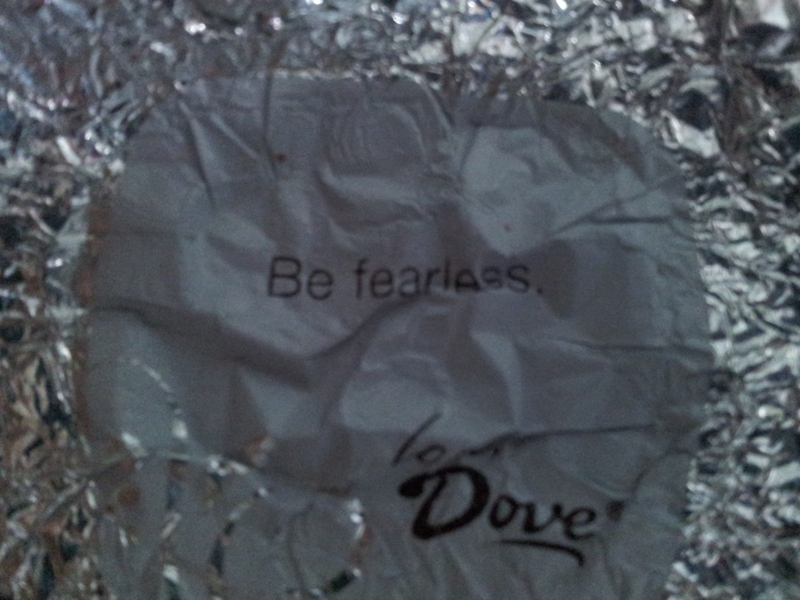 Okay, the next message wasn’t from my chocolate. My brother got it and I like it. So ENJOY!